We are one of the leading Pillow Manufacturers. We offer an exclusive range of Rubber Pillow on at unmatched quality and market leading prices. They are manufactured using advance and latest techniques. Keeping in mind the diverse requirements of clients, we offer a durable and comfortable range of Rubber Foam Pillows that are therapeutically designed and are gently contoured for optimum comfort. These products are light in weight and are widely acknowledged among the clients for optimum quality and skin friendliness. Enriched by our vast industrial experience in this business, we are involved in offering an enormous quality range of Rubber Band Pillow. 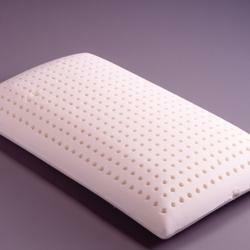 Latex foam pin core pillow is available in soft, medium and hard grade comfort with inner cover 2" Thickness. It is guaranteed to give you a more relaxed sleep. Our customer can avail from us a two range of Cervical & Medical Pillows in different density, thickness and sizes. These are made of superior quality of latexo rubber and offers ideal comfort and ease to neck aches. Rubber foam pillows in kerala with a wide distribution network in kerala. Our quality product are now supplied across kerala. RestwelI is with its expertise in the field is on a path of expanding the business throughout other states in India. Our manufacturing process is so authentic as we produce high quality product which has many specialties, which makes it the best choice. 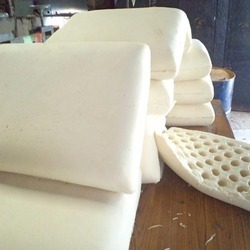 We are engaged in providing superior quality Regency Natural Latex Rubber Foam Pillows, which are immensely appreciated by our clients. These are created using best quality natural latex rubber, that are made highly compressible, to provide optimum comfort while sleep. We offer the entire collection of these pillows at competitive rates.